With over 25 years of experience manufacturing resuscitation technologies for the military, ZOLL understands that to meet today’s demands, you require more than just the best monitoring technology available. 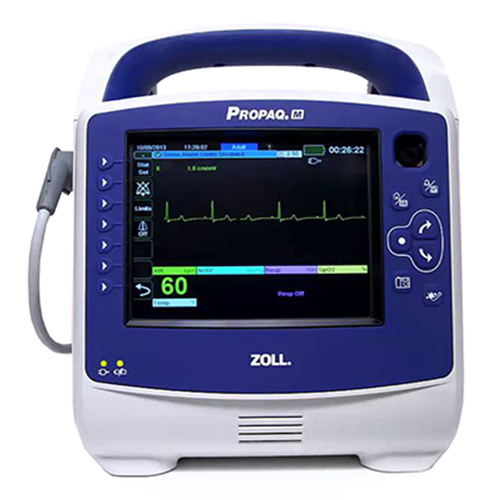 The ZOLL Propaq® M, in addition to providing the trusted and proven vital signs you have come to expect from Propaq, now has significantly enhanced data communications, allowing you to capture patient care data from the point of injury through definitive care. Rugged and lightweight, the Propaq M is specifically designed for military and air medical operations.